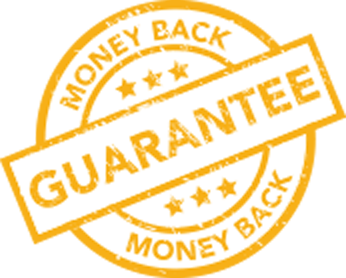 As business owners, we strive to get the most out of our company resources; this is what allows us to provide our clients with the best service, pay our employees the best compensation, and of course allows us to generate the most profit we can to take home for ourselves and our families. Although there is not one right approach for every doctor, we hope these answers below help shed some light on which decision is best for you and your practice. There is value in having a consistent name. In many ways branding is about creating a consistent experience in the eyes of your patients. Consistency (in terms of name & visuals) helps them distinguish what they can expect from your practice even before walking into your doors. So if possible, YES keep a consistency in your brand name and choose to change the associated city. 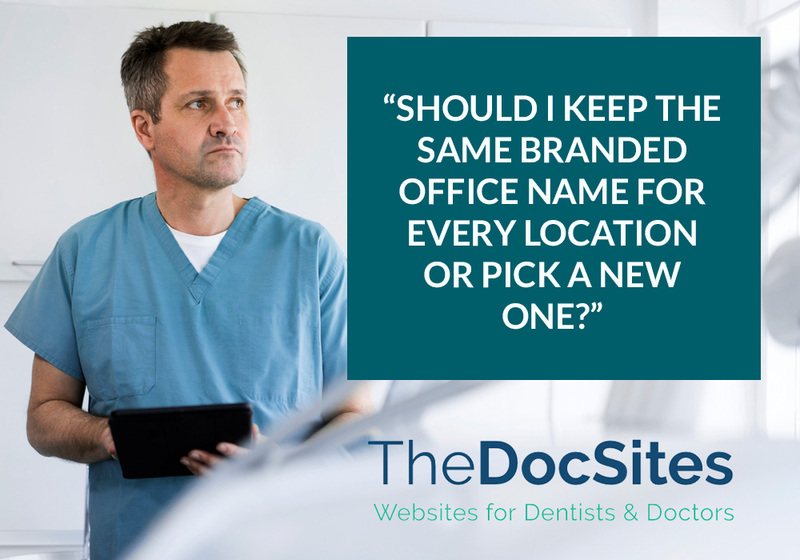 In this case, we’ve found it’s best to keep the name of the practice as is – primarily for the benefit of the existing patient base. Imagine your family physician or dentist told you “I’m selling my practice” – you might be a bit concerned (and rightfully so) with this new, un-familiar doctor taking over the practice. That’s why any type of consistency or familiarity will go a long way. 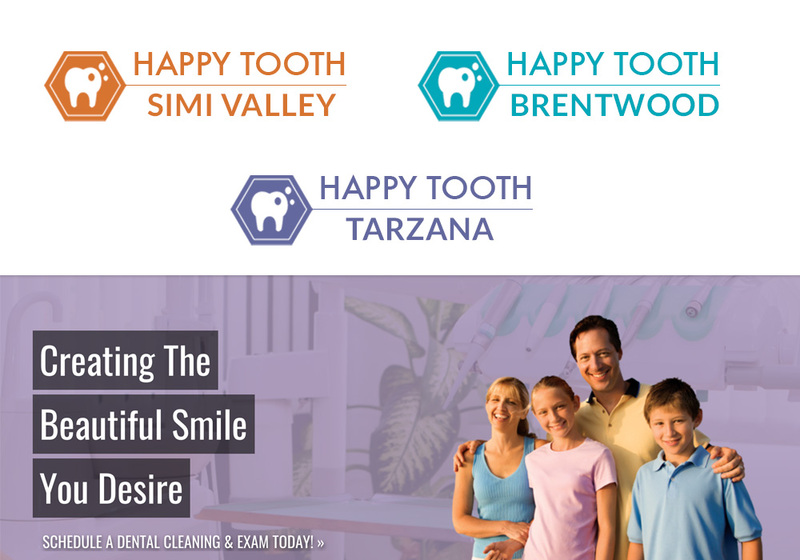 One way to create brand consistency amongst all of your practice locations with different names is to create a consistent logo. This allows patients to make a visual connection at first glance with the new logo, yet gives familiarity as the name is the same. If your answer is something along the lines of this…. ….we’d recommend having Multiple Websites. Think about it, every time you search for a service online nowadays you put the words “near me” afterwards right? Or you Google what you’re looking for followed by your city name. 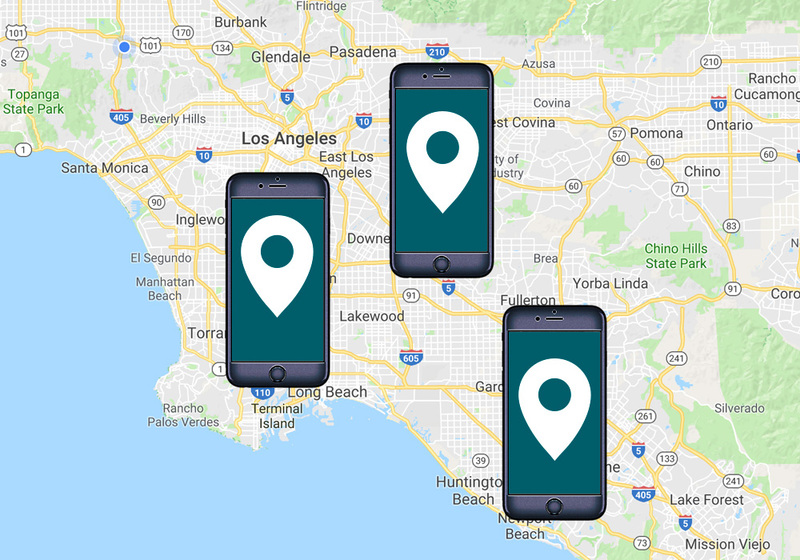 Google knows we want our search results to be local to us, and so it favors websites and social media profiles that are focused around one LOCATION / CITY. • Showcase the local team (doctor & staff) – important to patients! 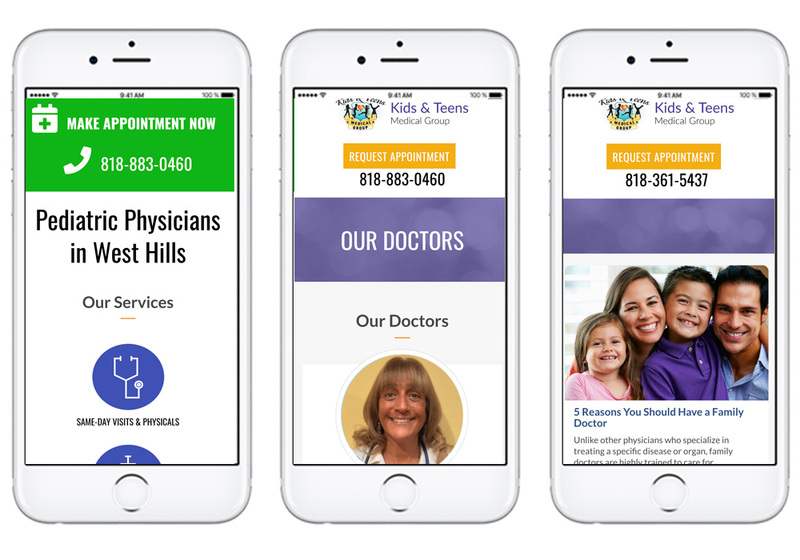 DocSites has 10+ year marketing multi-location practices, ensuring your branding is consistent amongst all websites while creating unique content for Social Media & SEO results. How can we help you and your practice? 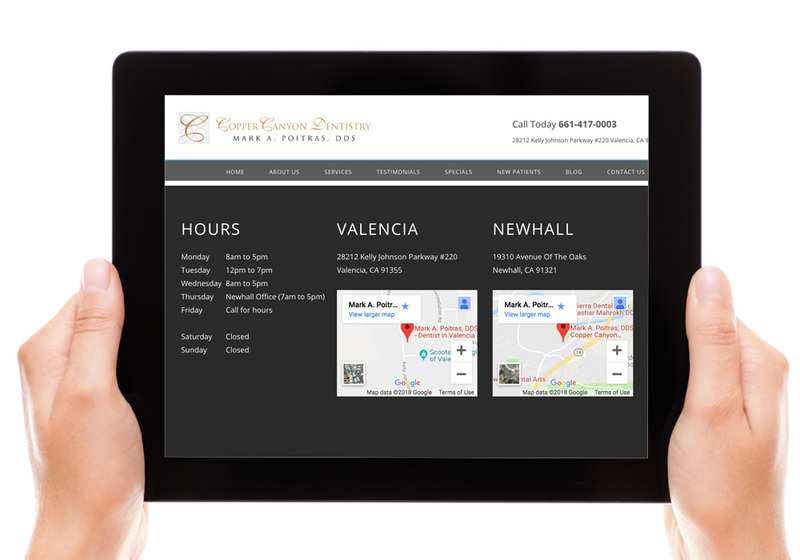 Call us directly at 888-980-4949 to speak with a dental or medical website expert today. This entry was posted in affordable dental websites, Best Dental Website, Dental Marketing, Dental Website Templates, Personalized Websites, social media marketing, Social Media Marketing Dentists, Websites for Dentists and tagged marketing for dentists, marketing for doctors, multiple location websites, multiple website marketing, social media for dentists, Websites for Dentists. Bookmark the permalink.